In school, Pasang Sherpa often stole money to buy drugs. 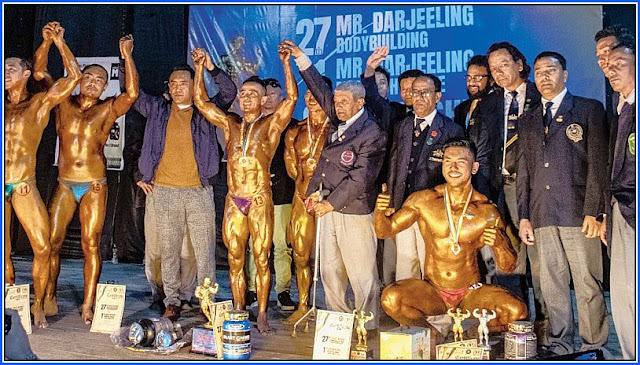 Last week, the 35-year-old stole the limelight, muscling his way to the Mr. Darjeeling title. “I feel happy being able to send a message. We see substance abuse all around but in Darjeeling, it is easy to get rid of this. There are so many people very successful in their professions despite having indulged in substance abuse earlier,” said Pasang. Life centred on managing some money to fulfil the craving for drugs, even if that meant stealing household items. “I even resorted to snatching, I would be beaten at times….I would be fighting on the streets,” said Pasang. After that incident, some relatives convinced him to get admitted to a rehabilitation centre in Sikkim. That was 2007 and he was nine years into substance abuse. Then, after five months at the centre, he was determined to change his life. Pasang later started helping other rehab centres. “In 2009, I joined a gym and for the past three years, I am being mentored by Tenzing Zamyang, the owner of Tenzing’s Gym in Darjeeling,” said Pasang, adding he spends working out three hours daily. The Mr. Darjeeling contest, held last week, was the first such event he had participated in. If change of focus needs an example, look no further than Pasang: he and some friends have now opened a rehab in Siliguri.